St. Thomas Episcopal Church ﻿i﻿s a joyful, friendly and inviting place that is open to all. Newcomers often say﻿,﻿ "St. Thomas is the most welcoming church they have visited." Many people in the lowcountry agree with this view, and you are invited to have the same experience. When you visit St. Thomas you will feel the love of Christ, encounter a faithful worshiping community, and depart knowing you have been touched by the grace of God. Read more about What We Believe. St. Thomas is blessed with a wonderful Quilting Prayer Ministry. After the lap quilts are made by parishioners, members are invited to tie the strings, and say a prayer before the quilt is given to receiver. Each string tied is reminder that people are praying for healing and recovery. Click here to view more pictures on Facebook. The Guardian Program and Banquet was wonderful for our teenagers. Click here to view pictures. Click on the Facebook icon below to see more event pictures from St. Thomas Episcopal Church. Our 15th Annual Lobster Sale was a huge success. Thanks to everyone for your support. We look forward to seeing you next year. Click here to view pictures on Facebook. St. Thomas had a wonderful Advent Dinner in December. Good Sheherd Hall was filled with laughter, joy and celebration. Thanks to the ECW for providing food for this wonderful event. Click ​here to see more pictures. Look forward to seeing you soon. 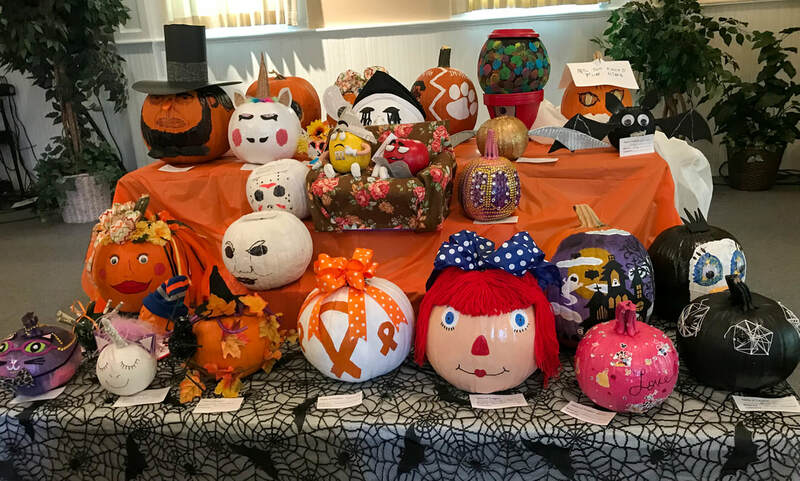 St. Thomas had fun at the 14h Annual Chili Luncheon and Pumpkin Auction. This year over $2100 dollars was raised for our upcoming Vacation Bible School in 2019. Click here to view pictures. Another blessed day.